Jennie trained on the MA Acting course at East 15 Acting School from 2014-15. 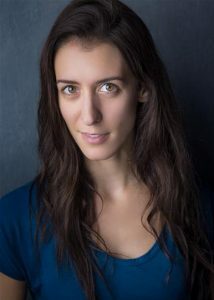 Originally from Yorkshire, she currently lives in London, and since completing her training she has been involved in several productions on the London fringe. Alongside acting work, she is a member of Oxford World Theatre, which recently saw her travelling to Sicily to deliver drama workshops and direct Sicilian teenagers in an adaptation of A Midsummer Night’s Dream. She also appeared in a tour of the same, this time with the Young Shakespeare Company. Jennie appeared in “Foresight” and “ChroniCargo” and has also done a spot of directing on the showreel side of things. Find her on Facebook, Twitter and her marvellous blog. Originally from Gloucestershire, Blain now resides in London. After completing his training at East 15 Acting School in 2015 he has gained a solid body of work. 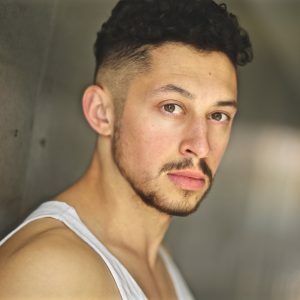 His acting debut was as the lead in the BBC short film Like/Unlike, from then on he has worked with Channel 5 and on a variety of independent films including those produced by National Film and Television School and Met Film School. He also won the 2016 Casting Call Pro Monologue Competition. His theatre work has included touring of new writing, re-imagined Shakespeare and immersive theatre from London to Wales to Romania. At venues such as; Theatre Royal Stratford East, Old Red Lion, Targu Mures National Theatre, National Museum of Wales. He will be co-leading in the feature film Criminal Audition shooting in October 2017 and due to be released in 2018. With Synchron Productions, he has written and appeared in award winning short film Dawn and more recently appeared in Bittersweet for the Colchester Film Festival 60HR Film Challenge. He continues to work alongside Synchron Productions on future projects.